Since the 1800’s boxing has been referred to as the Sweet Science of Bruising because of its unique combination of strategy, forethought, and brute strength. To the untrained eye each three minute long round looks like a bloody slog of uncoordinated uppercuts and body blows, but with even a little insight, boxing quickly transforms into a methodical strategy game. To become a boxer takes much more than the ability to throw a punch. Successful boxers are light on their feet, quick to respond and change strategies, and, most importantly, disciplined. 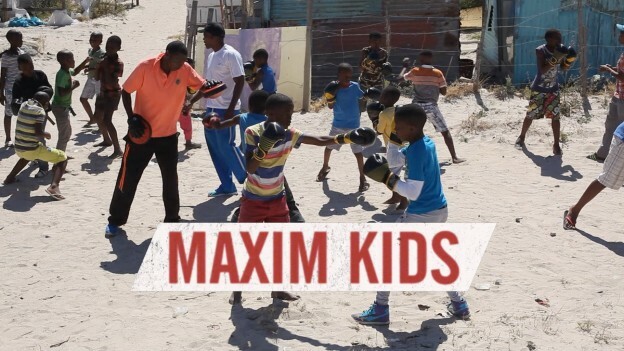 Maxim Kids is a youth boxing organization based in South Africa that uses boxing to teach that discipline, as well as physical fitness, goal setting, and leadership, to local kids, many of whom are at risk. Maxim Kids draws most of its students from the surrounding Khayelitsha Township where, despite governmental claims of improving infrastructure, 70% of residents live in shacks and almost 50% are unemployed. Unsurprisingly crime rates remain high. “Just bring us your knives and we’ll give you a pair of gloves,” is their slogan. The aspiring pugilists start with the basics of training – jumping rope, shadow boxing, and calisthenics – and then progress to sparring. 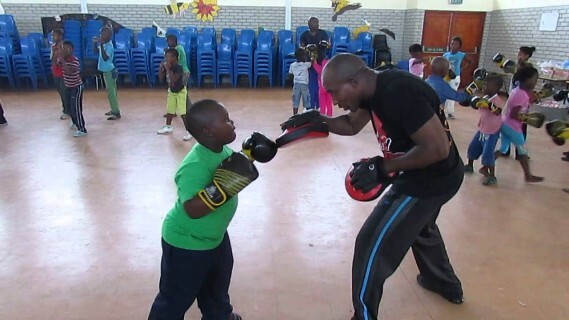 With its focus on boxing skills and drills, Maxim Kids aims to improve the kids’ confidence and work ethic, as well as to introduce them to a lifelong hobby. Maxim Kids started small, with only a handful of kids practicing in a tin roofed hut. But because of their positive impact, they’ve been able to expand; they now have access to formal gym space and can host forty-bout out door boxing tournaments. The coaches have lofty goals for the future. They want to expand the program and host more tournaments. A few even speak of producing a national boxing champion in the next five years. But all agree that the main goal is to keep the program running so it can offer vulnerable kids a safe, healthy haven. By nurturing these kids into dedicated, hardworking adults, Maxim Kids promises to make the Sweet Science just a bit sweeter. This entry was posted in Good Sports on January 13, 2016 by Ben Young.